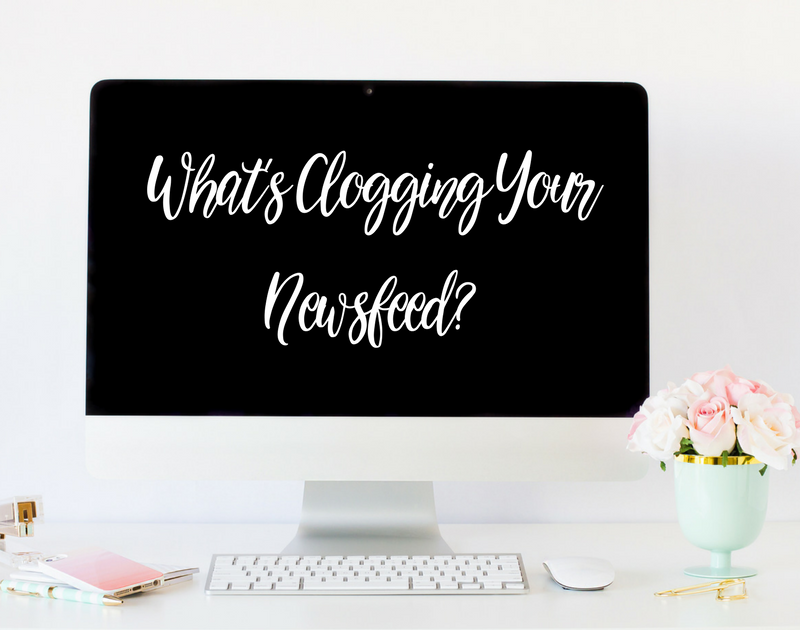 What’s Clogging Your News Feed? In a world of social media saturation and obsessions it’s easier than ever to become subject to the media frenzy’s and swarm of negativity that radiates at you from your various tech devices. Have you considered that perhaps sometimes your moods or beliefs stem from the information you absorb from that glowing screen on a daily basis? Once upon a time there was TV, radio, and newspapers. Now we have Facebook, Twitter, Instagram, Pinterest, Reddit, Periscope, Snapchat, Tribe, YouTube and countless more platforms dictating how we feel, what we think, and conditioning us to act in a certain way. We are brainwashed. And there’s no escape. Or is there? You could switch off social media all together, or you could choose what you allow yourself to be brainwashed by? Unfollow everything else and if you can’t do that, delete the app! You’ll find yourself a much calmer, relaxed and loving individual.